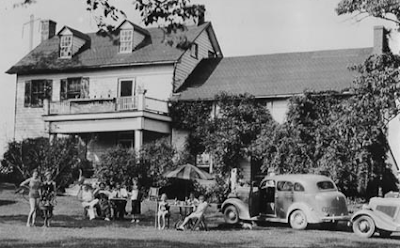 The property on which we built our house used to be home to a bustling inn (see below). Vacationers would flock from places like Pennsylvania to enjoy a riverside vacation, and the inn was infamous for its fabulous lawn parties. The owners even had electricity run to a gorgeous old oak so that they could hang party lights more conveniently.